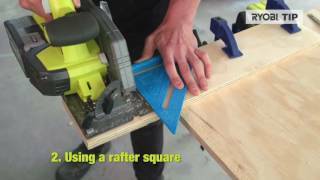 Have you got some woodworking projects lined up? Give them a professional touch with the RYOBI 18V 184mm Brushless Circular Saw. The high-performing motor and gearing give you superior results - compared to a brushed model the Brushless motor gives you a longer runtime and 30% faster cutting speed. While the addition of the E-Torque control means that the saw adjusts it's torque to fit different cutting applications. Discover the convenience and versatility offered by this model. 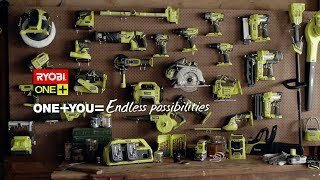 As part of the RYOBI ONE+ range, you won't have to purchase new batteries for every tool skin. If you have an existing ONE+ battery pack, you can use it with any of the power tools that are compatible. The RYOBI 18V 184mm Brushless Circular Saw will deliver the woodworking results you want. Purchase yours today from your local Bunnings store. Dust port to keep your work area cleaner.